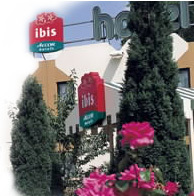 Located in the heart of Orly airport and served by a free bus shuttle. This hotel offers 300 rooms, Mexican restaurant and bar, conference rooms, chargeable fenced car park. Rooms for disabled guests.